The 18-hole Bluffs/Peaks Golf Course at Boulder Pointe Golf Club in Oxford, MI is a public golf course that opened in 2000. Bluffs/Peaks Golf Course at Boulder Pointe Golf Club measures 7034 yards from the longest tees and has a slope rating of 132 and a 73. Devil's Ridge Golf Club is ranked as one of Michigan's top courses. The course wanders across more than 400 acres of forests, wetlands, and rolling hills. The diverse landscape has the ideal terrain for a challenging round. The 18-hole Dunes/Bluffs Golf Course at Boulder Pointe Golf Club in Oxford, MI is a public golf course that opened in 2000. Dunes/Bluffs Golf Course at Boulder Pointe Golf Club measures 7334 yards from the longest tees and has a slope rating of 138 and a 74. The 9-hole Hill Course at Copper Hills Golf Club in Oxford, MI is a semi-private golf course that opened in 1997. Hill Golf Course at Copper Hills Golf Club measures 3390 yards from the longest tees. The 9-hole Jungle Course at Copper Hills Golf Club in Oxford, MI is a semi-private golf course that opened in 1998. 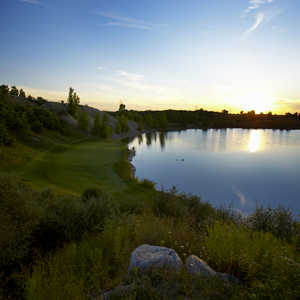 Designed by Curtis Wright, Jungle Course at Copper Hills Golf Club measures 3149 yards from the longest tees. 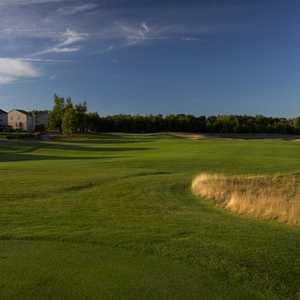 The 9-hole Marsh Course at Copper Hills Golf Club in Oxford, MI is a semi private golf course that opened in 1997. 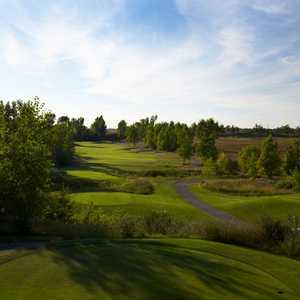 Marsh Course at Copper Hills Golf Club measures 3344 yards from the longest tees. The course features 5 sets of tees for different skill levels. Greens and fairways are bent grass. The 18-hole Mulberry Hills Golf Course in Oxford, MI is a public golf course. Mulberry Hills Golf Course measures 6508 yards from the longest tees and has a slope rating of 118 and a 70.2 USGA rating. The course features 3 sets of tees for different skill levels. The 18-hole Oxford Hills Golf & Country Club in Oxford, MI is a public golf course. Oxford Hills Golf & Country Club measures 6522 yards from the longest tees and has a slope rating of 125 and a 71.5 USGA rating. The course features 3 sets of tees for different skill levels. The 18-hole Peaks/Dunes Golf Course at Boulder Pointe Golf Club in Oxford, MI is a public golf course that opened in 2000. Peaks/Dunes Golf Course at Boulder Pointe Golf Club measures 7424 yards from the longest tees and has a slope rating of 138 and a 75.